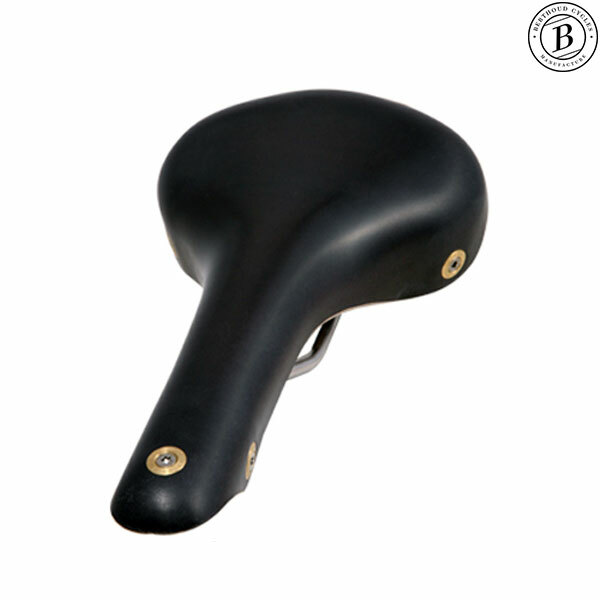 The saddle is made from thick, natural vegetable tanned leather. It is pre-softened and waterproof. The bolt assemblies at the rear of the saddle aren't on the top surface, where you might sit on them if you slide back on your saddle. But instead the bolts are off the back edge, out of the way. Width across the back is 146mm. Length 278mm. Weight, due to the nature of leather may vary a little, is approximately 415g. Rear crescent made with technical material which provides solidity and flexibility for maximum comfort. Very easy to disassemble thanks to an ingenious system. Made with stainless steel screws which fit into special-shaped brass washers. The cone-shaped washer fits into the leather avoiding any risk of damage.